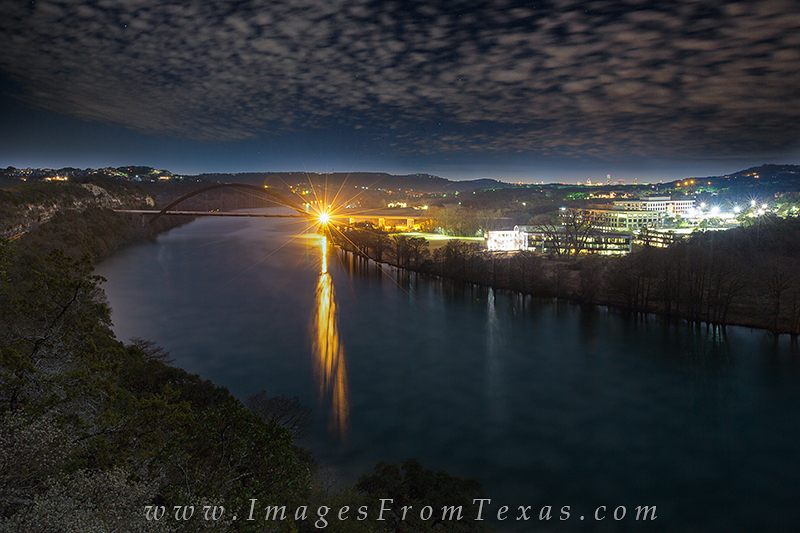 Just upriver from the 360 Bridge, I took this long exposure early in the morning - about an hour before sunrise. The light from the full moon settting in the west illuminated the patchy clouds. In the distance the Austin skyline shines into the darkness. Photo © copyright by Rob Greebon.